SPCA will hold a press conference on Wednesday, May 14. Located in Nassau County, New York, The Nassau County Society for the Prevention of Cruelty to Animals is a 501(c) (3), nonprofit organization originally designed to protect animals in the county from abuse and neglect, and to provide basic welfare. We hold special authority to enforce NYS Agriculture & Markets Law, and all other state and local humane laws. We are the only animal protection agency officially designated to operate within the county's borders.The NCSPCA is a volunteer organization dedicated to the rescue, care and placement of needy animals. The Society is run entirely by unpaid volunteers and its operations have been historically funded through contributions solicited from the public and through corporate grants.The NCSPCA receives no public funding, is in no way affiliated with, a subdivision of or funded by any other local, state or national organization and every contribution, large or small, helps to provide the critical care needed to help homeless, abused and neglected animals in Nassau County. The continued success of each program relies entirely on donations. 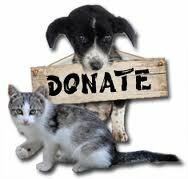 No money given to any other spca organization aids or benefits the NCSPCA. Your generous contribution will help the NCSPCA inall of its efforts. Subject: LongIsland.com - Your Name sent you Article details of "Nassau County SPCA Investigating Protected Bird That Was Shot"